This Week on Broadway has been coming to you every week since 2009. It is the longest running Broadway and theatrical podcast with hundreds of shows giving thousands of reviews and interviews. PETER FILICHIA is a theater journalist and historian with a number of books, his most recent is, “The Great Parade”, available everywhere. His play, God Shows Up began performances April 6, 2019 at The Actor’s Temple Theatre on 47th Street with an opening night on May 13. His columns appear at MTI, Masterworks Broadway, Broadway Select and many other places. 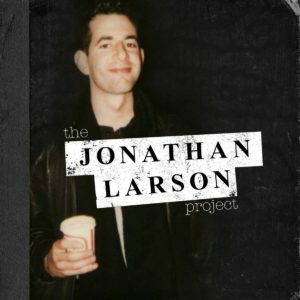 Get The Jonathan Larson Project here!